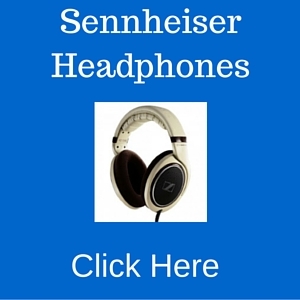 Description: This article discusses the various factors to consider in choosing the best headphone for kids. It also explains why parents choose a wireless headphone for their kids. Kids these days are very much engaged in different forms of media, from music, video games and movies. One of the accessories that will make them enjoy listening to music, watching movies, and playing video games is a headphone. Buying headphones for kids has its pros and cons. Having a headphone helps keeps children entertained and engaged especially during long-haul flights or road trips. For some parents, using toddler headphones make it easier for their children to fall asleep because they can listen to their favorite tunes. Of course, some will argue that headphones may also affect their hearing. This is why parents should limit the amount of time that their children use headphone. According to experts, children should not use their headphones for more than two hours per day. That said, this article will focus on some of the more important features that parents should look for in a headphone for children. What is the Best Type of Headphone for Children? There are five headphone types that parents can choose from. These are circumaural, supra-aural, semi-open, closed/sealed, open air, and earbuds. Circumaural headphones are also called the around-the-ear variety. While this type delivers excellent audio quality, it does not cancel the background noise. On the other hand, the supra-aural type is very much similar to the circumaural kind although the former is lighter and rests on the head of the wearer. Semi-open headphones have a design which is not completely closed. While it offers good audio quality, this is typically used for recording and hence may not be appropriate for children. There’s also the closed or sealed headphone which has its back sealed off to prevent the audio from ‘escaping’ making it ideal for noisy environments. Another type is the open-air headphone that has also has the circumaural style, although its back is open which makes the sound escape. The last type is the earbud earphone which is the most ideal for children because it is portable, lightweight, and fits well into the ear of the wearer. How Can You Distinguish Children’s Headphones? Headphones for children are easily distinguishable. The size is smaller compared to headphones for adults. The design is also geared at children, with bright colors and cartoon characters often adorning the earbuds. What are the Important Features of Children’s Headphones? The best headphones for kids have volume limiter. This is perhaps the most important feature of kids headphones as it would protect children against hearing loss. The ideal headphone for children should limit the volume level, one that would not exceed 80 decibels. Any headphone that allows more than 85 decibels can cause hearing loss or damage chiefly when used for a long time. Noise cancelation is another important function of kids headphones. Noise canceling headphones for kids eliminate background noise so that the wearer would be able to more clearly hear the audio. The best kids headphones are those lightweight enough to suit the active lifestyles of children. Compact headphones are also easier to pack and thus ideal for traveling. A good headphone for children should fit the wearer. Children’s headphones are way, way smaller than those marketed for adults. The average width of a headphone for children is 13 centimeter and the average height is 16 cm, so that is something you have to keep in mind in case you are shopping online. Of course, you’d like to have your child try on it first before buying. There are a lot of disadvantages of insisting on a headphone that is sized for adults. For one, children could end up breaking them as they would have to adjust the fit every now and then. Here’s one tip: when shopping for headphones, give emphasis on those with flexible headbands because it fits easier and permits refitting. Headphones with flexible headpads are ideal for children growing up. The ideal kids headphone should also have soft padding around the cups so that the wearer would be able to wear it for several hours when needed. This applies to long-haul flights or during sleep. 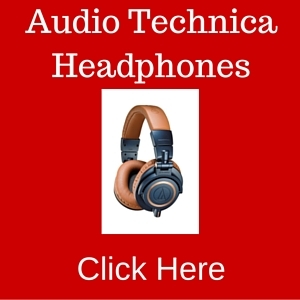 Is the Design of the Headphone Important? The design of the headphone is not important to a parent, but for a child, it is perhaps the only reason why he’d choose a particular headset over another. Although not the most important feature, the design of the headphone could make you buy it instead of another model. Children would want their headphones to come in bright and colorful designs, and it helps if the design incorporates their favorite cartoon characters. For instance, girls would more likely choose Hello Kitty headphones than Kidz Gear Headphones. Boys would prefer Kidz Gear wired headphones for kids. And while this should not be the deciding factor in buying a headphone, it’s hard to overlook the design particularly when the child is attracted to the design of a particular headphone. So before shopping for one, you may want to ask your child about any design he might be interested in. Should You Go for Wireless or Wired? Wireless headphones for kids are recommended especially because kids are quite active. As the name suggests, this kind of headphone does not have any cord or wire so your child can move more freely. Wireless headphones are ideal for use in cars and similar vehicles. The only problem with wireless headphones is that the audio quality suffers a bit when the headphone is far from the audio device. Bluetooth headphones for kids are classified as wireless headphones. This is an emerging type of headphone for children, and appeals to parents because Bluetooth technology is available in most gadgets that kids love to use such as the iPad. In choosing a headphone for your child, remember that these are the most important factors—size, noise cancellation, comfort, and design. 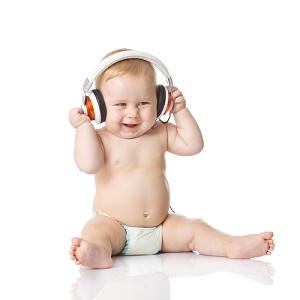 You should also opt for a wireless type of headphone since cords can hamper the movement of your child.